A big brand on the Continent on Europe but until now, unheard of in the UK. 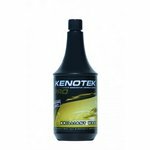 Kenotek products are made to exacting stands in their own Belgian factory in Ypres and are approved by VDA, the German vehicle manufacturers federation. Each product is also REACH compliant, having been tested by DEKRA. 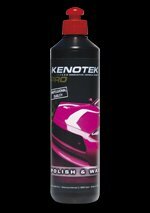 This is the great value and highly effective Kenotek iron active wheel cleaner - an evolution of the type of product that turns purple as its attacks bonded on metallic particles on wheels and bodywork. 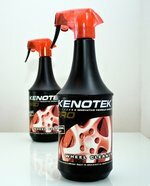 It is based upon Kenoteks highly effective pH neutral wheel cleaner, so is safe on most wheels and highly effective as a wheel cleaner alone. 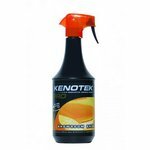 Kenotek Wheel Cleaner Ultra can also be used as a fall-out remover on vehicle bodywork and other surfaces. Unlike most products which have a strong rotten egg smell, this is much more pleasant, with a pineapple aroma. Always test on a small surface to test material suitability. REACH compliant, tested by DEKRA in Germany and approved by German car manufacturers. 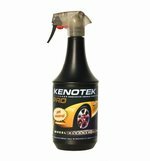 Kenotek Anti-Insect swiftly and effortlessly removes even dried on residues of insects from car bodywork and windscreens. Recommended by AutoExpress in its Bug Cleaners Test, 6-12 May 2015 issue. 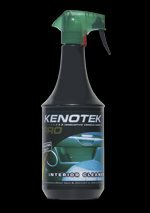 Sun-baked bugs are notoriously difficult to remove so this is a very welcome product for every car valeters arsenal. 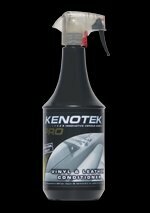 Its formula is specifically designed to break down proteins and contains NO caustic soda so if safe on paintwork. 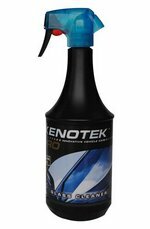 Very easy to use - simply spray onto the bug splattered area, leave to work for a minute or two and wash or hose off.